The primary focus of Ms. Gold’s practice initially was commercial litigation, with an emphasis in entertainment and intellectual property. More recently, in addition to her litigation practice, she has focused more on transactional matters, including negotiation, documentation and advice regarding entertainment and intellectual property transactions. Ms. Gold is often consulted for advice and counseling regarding intellectual property and entertainment matters, including the maintenance and protection of copyright, trademark, trade dress and other intellectual property rights, as well as assisting with the selection of trademarks and prosecuting trademark applications. Her transactional work has included deals involving, among other things, copyright and trademark issues, such as, for example, the negotiating, drafting and/or documentation of copyright and trademark licenses, music licenses involving publishing rights (i.e., mechanical, synchronization and public performance), master recording rights, and similar issues, and the negotiation, drafting and/or documentation of talent agreements and literary purchase and option agreements, as well as other agreements relating to the production and distribution of theatrical and other motion pictures and of television productions, and relating to the exploitation of intellectual property rights. She also provides advice to errors and omissions insurers regarding the clearance of television, motion picture and music projects for the underwriting of producer’s and/or acquisition and development errors and omissions insurance, including the vetting of copyright ownership and rights acquisitions. Additionally, Ms. Gold advises clients regarding Internet, website and domain name issues, including drafting of and advice regarding a website’s terms and conditions of use, privacy policies and intellectual property policies. Her litigation representations have included work on several trials, including patent infringement cases, idea submission cases, wrongful termination cases, contract disputes, and others. Over the years, she has worked on numerous cases involving copyright and trademark claims, including several cases involving claims of music infringement, a case involving copyright and trademark infringement of certain merchandise relating to a film that was based on a book where the film agreement did not have a “future technologies” clause, a case involving rights to a composer’s library under U.S. law, British law and the Berne Convention, a case involving the lack of attribution of a featured singer in a hit song and music video, a matter involving .the heirs of an opera composer in a dispute over the rights granted by the authors of certain source works to the composer to create, perform and exploit the opera as a derivative work, and a number of trademark infringement claims. Ms. Gold also worked closely with a former partner of this firm, the late Ronald Rosen, in the writing of his book Music and Copyright. She contributed to and edited the first edition of that book, and is working on the second edition to which she will be added as a co-author. 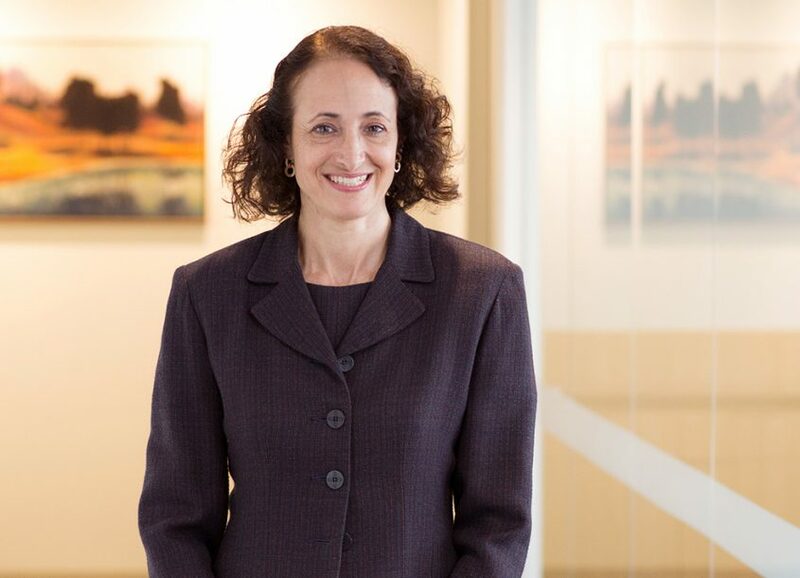 Before joining TroyGould, Ms. Gold was an associate with Skadden, Arps, Slate, Meagher & Flom, LLP in Chicago, and an associate with Irell & Manella, LLP in Los Angeles. She also was a Lecturer in Law at the UCLA School of Law for two years, and an Instructor at DePaul University College of Law for one semester. Represented an online video game creator, producer and publisher regarding various rights agreements. Represented various production companies in the production of feature motion pictures. Represented various distribution companies in the acquisition and/or distribution of feature motion pictures. Represented numerous providers of technology and technological services to the entertainment industry, including providers in the areas of DVD technology, computer software, special effects and post-production, as to the negotiation and documentation of a variety of transactions. Represented numerous writers, producers, managers, directors, actors and low-budget motion picture productions in connection with the negotiation and documentation of a variety of transactions. Represented various Internet-based businesses, and creators and users of digital media in various transactions. Provided clearance of television, motion picture and music projects for the underwriting of errors and omissions insurance (producers, acquisition and development, distributors, etc. ), including the vetting of copyright ownership and rights acquisitions. Conducted numerous chain-of-title analyses in connection with transactions involving entertainment properties and intellectual property works. Negotiated and drafted agreements (and/or provided advice) involving, among other things, books, videogames, motion pictures, television shows, websites, sunglasses, product container designs, t-shirts, paintball guns, toys, karaoke machines and related karaoke services, food labels and many other works and goods in connection with a variety of transactions involving copyright, trademark (and trade design), patent and other intellectual property rights, including drafting license agreements, option and purchase agreements, assignment agreements, collaboration agreements, works made for hire agreements, a variety of production agreements (e.g., writers, actors, directors and producers agreements, location agreements, etc. ), distribution agreements, .music publishing rights agreements (i.e., mechanical, synchronization and public performance), and master recording rights agreements. Represented a videogame company that had obtained the videogame rights to a film from the estate of the author of the source work (a novel) against a film company that claimed, under contract, copyright and trademark law, it owned all film, video, videogame and merchandising rights to that film where the merchandise clause in the agreement pursuant to which it obtained its rights did not contain a “future technologies” clause. We successfully defeated the film company’s preliminary injunction motion and summary judgment motion. We also filed a successful cross-motion for summary judgment. A favorable settlement was reached while on appeal to the Ninth Circuit after having been fully briefed. Represented a dating and social networking website that was accused of having copied the “look and feel” of a very large and well-known dating website. A favorable settlement was reached through negotiation. Represented television producers/writers in accounting disputes involving audits of participation/royalty statements issued to our clients in connection with successful television series. Favorable settlements were negotiated. Represented a children’s entertainment company in a dispute involving copyright infringement of its animated characters. After we filed summary judgment motions arguing that the exploitation by the licensee was beyond what was granted in the applicable copyright licenses, a favorable settlement was reached through negotiation. Represented a children’s entertainment company in a dispute involving the creation and ownership of certain animated characters. After we defeated a summary judgment motion, a favorable settlement was reached through negotiation. Represented a production company in connection with allegations against it of substantial similarity of animated characters portrayed in an animated film weeks before the film’s theatrical release. The accusing film company dropped its case after we informally demonstrated that the threatened suit lacked merit. Represented a record company in a dispute with a background vocalist who claimed that her rights to attribution were violated in the release of a popular music single and in the associated music video. We defeated the vocalist’s summary judgment motion. A favorable settlement was reached at mediation. Represented the heirs of an opera composer in a dispute over the rights granted to the composer by the authors of certain source works used to create, perform and exploit the opera as a derivative work. A favorable settlement was reached through negotiation, and without litigation being instituted or the dispute ever being made public. Represented the widow of a composer with a large music composition library. We successfully defeated a summary judgment motion and a renewed summary judgment motion filed by the composer’s niece claiming she owned rights, as an heir to the estate, to the compositions under both U.S. and U.K. law. Represented a Hawaiian vacation tour company in a dispute in which it was accused of copyright infringement, trademark infringement and having copied the “look and feel” of another Hawaiian vacation tour company in connection with its vacation tour pamphlets, website and related marketing and promotional materials. The accusing tour company dropped its claims against our client after we had informally demonstrated that the accusing company’s threatened suit lacked merit. Represented an auto parts manufacturer against another parts manufacturer that attempted to cancel our client’s trademark registrations and alleged trademark infringement and dilution in connection with our client’s website, parts catalogs and domain names. A favorable settlement was reached through negotiation. Represented numerous trademark owners in cancellation and opposition actions involving their respective trademark registrations and applications with successful results. Represented a seller of high-end mirrors and frames in a trademark infringement dispute involving the use of trademarks and domain names. A favorable settlement was reached through negotiation, and without litigation being instituted or the dispute ever being made public. Represented a paintball gun company. We successfully and favorably settled a dispute involving allegations against our client of patent infringement, and we negotiated a license agreement for the patented parts at issue. Columbia University School of Law (J.D., 1990); Harlan Fiske Stone Scholar; Journal of Law and Social Problems. California; District of Columbia; Illinois.